This is a trademark DuMOL RRV Chardonnay in every respect – a powerfully rich fruit expression, multi-layered broad texture and a wonderfully long penetrating finish featuring vibrantly intense citrus acidity; a striking and profound combination. As a group our four 2008 Chardonnay bottlings are categorically my favorites since our inception in 1996 and likely to be our longest lived. It is such a wonderful vintage for these coastal vineyards that for the first time the blend is firmly rooted 100% in the Green Valley sub district that we admire so greatly and have chosen to focus upon. Our vineyard mix features a thrilling first crop from the DuMOL Estate vineyard planted in 2005 as well as a small contribution from our oldest lowest yielding vines at Searby Vineyard planted in 1974. As usual five unique Dutton Ranch vineyards anchor the wine and impressively drive its signature DuMOL character. 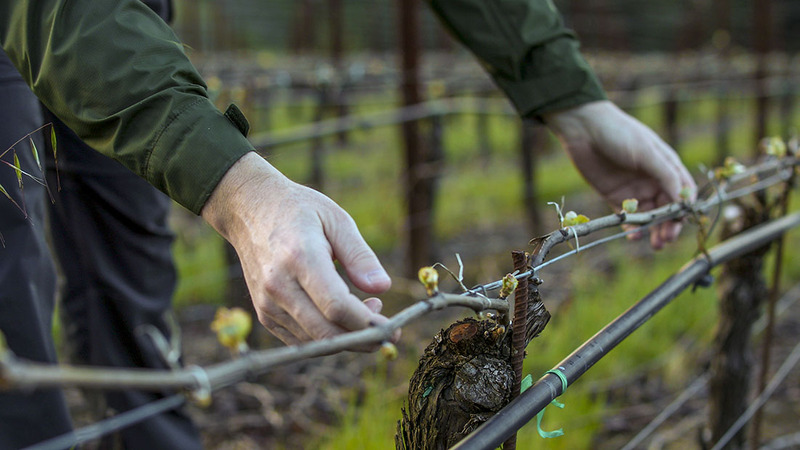 Finally, Heintz Vineyard makes its largest ever contribution to a RRV blend and its great performance in this vintage will be evident to you this fall when the stunning 2008 isobel is released. This wine is completely dry containing no residual unfermented sugar which brings the impression of crystalline fruit purity and focus to its core and balances both the textural and structural elements. It’s this balance that makes the wine so harmonious and raises it to the highest quality level of Chardonnay found world wide. This superb world class Chardonnay is not to be missed. Light green/yellow color. Captivating nose of stone fruits, citrus blossom and fragrant lemongrass. Initially a steely precise palate which then opens and broadens to deep rich fruit and elegant breadth. Great power and focus throughout with touches of nutmeg and clove and a gorgeous inner mouth perfume. Pristine, laser-like acidity brings harmony and detail to the finish. The wine’s component parts are completely integrated and seamless so that neither fruit nor oak nor individual vineyards dominate. A great, great Russian River Chardonnay. Serve no cooler than 55 degrees to ensure full flavor development. Drink between release and 2018.